Now that I have your attention. Startups are hard, I have written enough about it. That being said, life is hard so that should never stop you from living your dream or building your dream company. There are going to be a lot of people who offer to “help” along the way, I am going to point to Paul Graham’s advice, when it comes to people always follow your instincts and gut. If your instincts and gut tells you something is not right about the individual listen to it and don’t waste your time with this individual. For everything else in the process of building a Startup ignore what your gut tells you. Grandmaster José Raúl Capablanca put it well: to succeed, “you must study the endgame before everything else”. I study the endgame all the time. When I work with founders, I am constantly thinking about the endgame. It is not about return on the money that has been invested but How do you make this vision become a reality and how do you build a great business, is that not the end goal? So how do you build a great business? One blog post is too short to write about that but I will eventually write a book about my experience of building companies, until then Peter Thiel’s Zero to One is a good place to start. 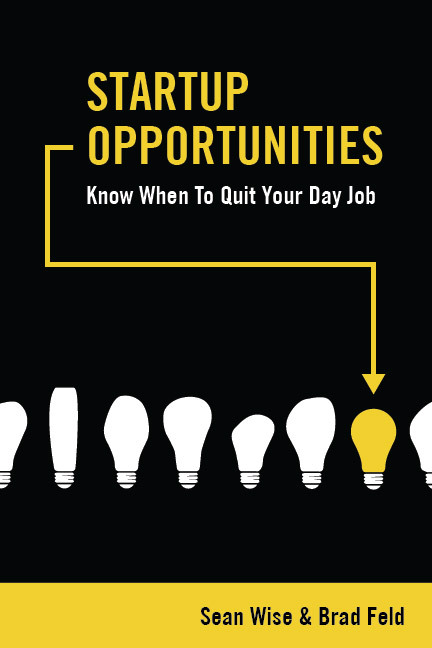 Brad Feld and Sean Wise, have written a new book “Startup Opportunities: Know when to quit your day job“, I have pre-ordered it and I should get it tomorrow. I am eagerly looking forward to reading that book. I will write about it once I finish. Don’t wait for that, go and get your own copy. I am sure it is worth it.